Hong Kong Chinese New Year Fireworks 2019! 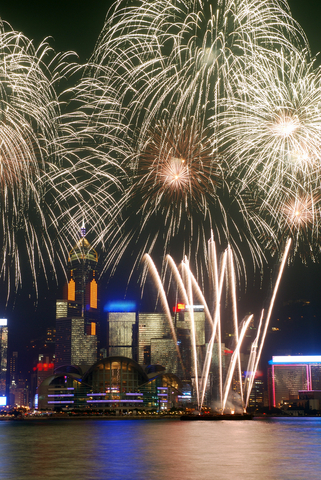 The annual Hong Kong Chinese New Year Fireworks extravaganza is truly an institution and a definite "must see" event. 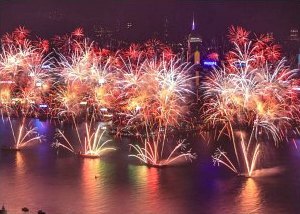 Fireworks and firecrackers are an essential part of the celebrations and in Hong Kong the New Year is greeted with an extraordinary production which can be seen from both sides of the Harbour. This has to be one of the most spectacular fireworks displays in the world. 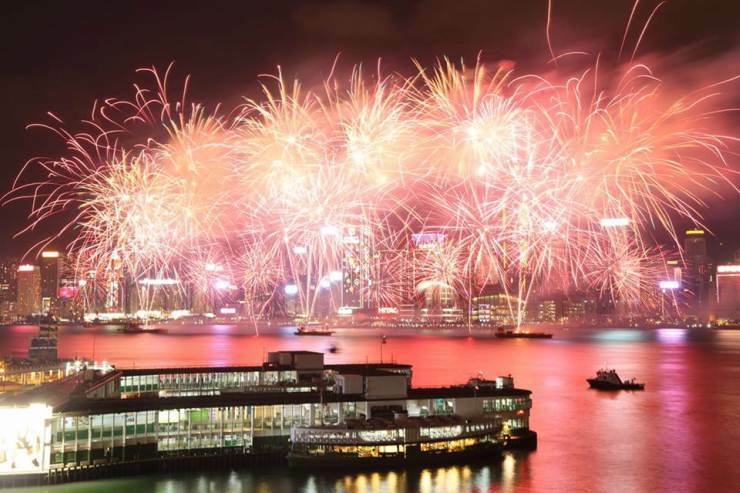 To welcome the New Year, a fleet of pontoons and barges set up in the middle of Victoria Harbour launches the pyrothecnic wonder as the sky above the harbour explodes in bursts of shimmering color on a breathtaking show that lasts approximately 25 minutes. Firecrackers are believed to scare away the evil spirits, helping bring in all the good luck for the coming year. 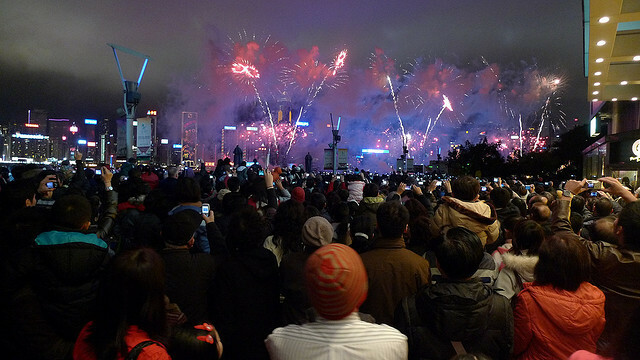 The New Year Fireworks are an intrinsic part of Chinese tradition and one of the city's landmark events. 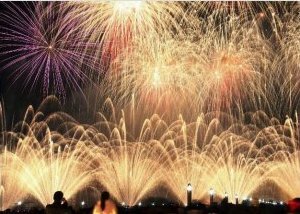 When are the Chinese New Year Fireworks 2019? Where are the best spots to watch? This year's Year of the Pig Fireworks celebration will be on February 6, 2019 at 8:00 pm and last for approximately 23 minutes. 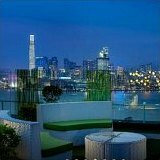 There is no admission charge, you can watch all along the waterfront or from anywhere in sight of the Victoria Harbour skies. Which side of the harbour? As a general rule, you should watch from whatever side you are staying and plan on walking. Trying to catch a taxi or the packed MTR on the way home when every one else is also trying to do the same is quite challenging to say the least. One of our favourite free spots to watch is from the Tsim Sha Tsui side with Victoria Peak and the Central Skyline in the background, you can watch all along the Promenade and the Avenue of the Stars from the Star Ferry Terminal to the New World Centre in the East. 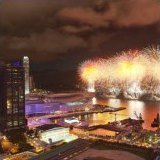 Another popular vantage point for fireworks is the Hung Hom Bypass which is closed to traffic between Salisbury Road and Hung Hom Road. 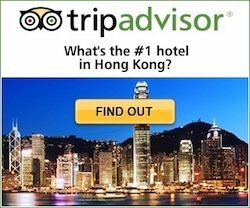 If staying in the Hong Kong Island side, consider the area around the Convention Centre and Bauhinia Square or anywhere along the Central Waterfront Promenade that extends from the Central Star Ferry Pier to Tamar Park and has elevated walkways for great views. You can also watch from the mid-levels and Victoria Peak. Here's a guide and map for the best free vantage points and tips for enjoying the fireworks! Keep in mind that all of the public spaces will be extremely crowded! And there are of course plenty of fantastic venues throughout the city with that million-dollar view for a truly unforgettable experience. 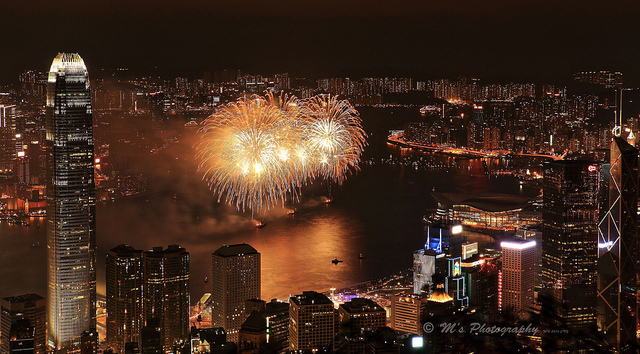 A Victoria Harbour cruise provides one of the best vantage points for viewing Hong Kong's legendary fireworks displays. If you are looking for a special way to welcome the Year of the Pig, this certainly fits the bill. You will be surrounded by a glitter of lights and an explosion of fireworks as the stunning celebration envelops the city for this joyous occasion. Here are some offers for you to consider, they do sell out quickly so try to make your bookings as soon as you firm up your plans! Certainly an experience to remember! Likely to sell out quick! Ride up the double decker elevators at Hong Kong's tallest building straight to Sky100 Observation Deck where you enjoy spectacular 360-degree views of the Hong Kong skyline, famous Victoria Harbour and the stunning fireworks. ›› More Info and Booking: 2019 CNY Fireworks at Sky100 Select the 2019 Chinese New Year Fireworks Package. 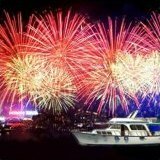 This is the no-frills option and a great offer, no dinner, no bufett, only a fantastic experience as you sail out under the bright lights of the city under the Victoria Harbour skies for a Lunar New Year to remember. Leaves from the Hong Kong Island side. 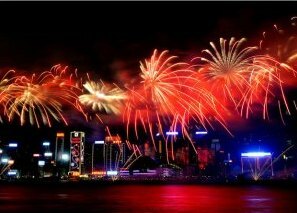 The Hong Kong Chinese New Year Fireworks together with the Parade are two of the city's most anticipated Chinese New Year events, don't miss them if you are in town!